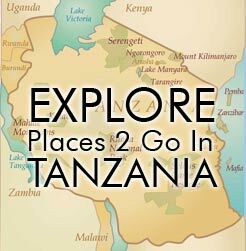 Description: Located just off the coast of Tanzania, Zanzibar’s pristine white sand beaches lined with palm trees and surrounded by coral reefs provide a perfect paradise for the conclusion of a safari. There are numerous beach resorts (almost too many to count) at a variety of price pointes. Regardless of where you stay, it is likely that you’ll wish you could stay longer. Give yourself at least 3 nights on the beach or you’ll be wishing you had more time, unless of course you already live in a place that has beautiful beaches. Zanzibar has a lot of visitors these days. 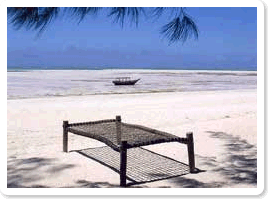 If you are looking for a nice place to relax but would rather avoid any potential of crowds, check out Pemba, Mafia, Rubondo Island, Pangani, Kilwa Kisiwani and Bagamoyo. Time: Give yourself at least 3 nights on the beach, if possible.